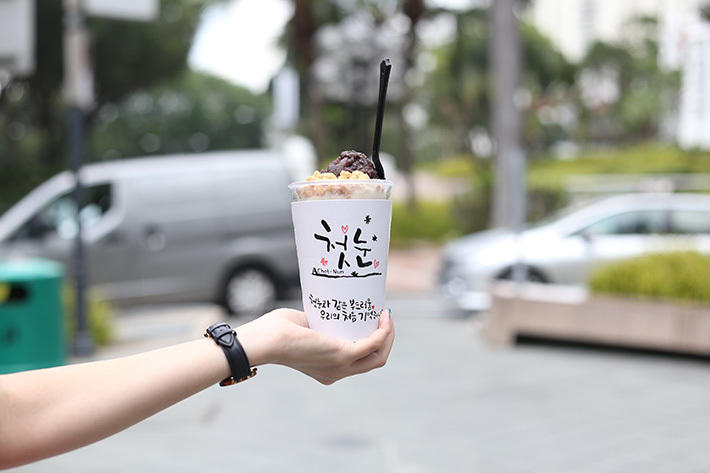 As one of the earliest Korean dessert houses established in Singapore, we’ll need to thank Bing Go Jung for contributing to the bingsu craze! The dessert house’s popular flavours include the common Patbingsu (red bean) and Injeolmi (rice cake) bingsu. Think of the usual bingsu in small, takeaway cups—easy for a quick pick-me-up in between shopping. Chot-nun offers a wide range of interesting flavours and it is relatively affordable. Treat yourself to a bowl of finely shaved ice at Han Bing after a long, hard day at work. The dessert place is just a five-minute walk from Botanic Gardens. 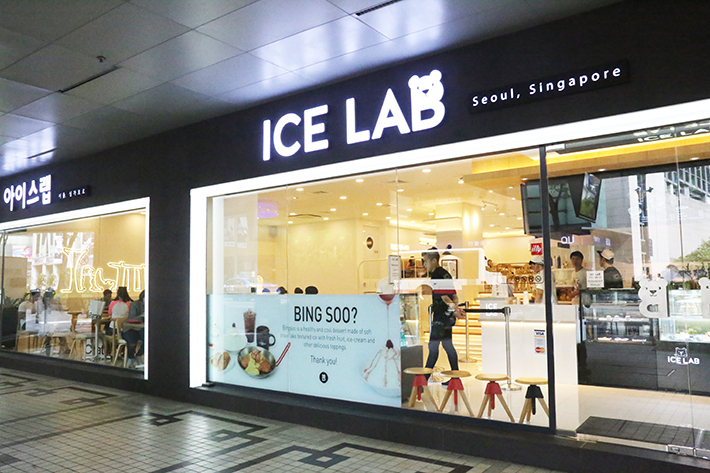 Launched by Korean Comedian, Shin Jung Hwan, Ice Lab is definitely a must-visit for those who adore Korean desserts. If you enjoy a clean, minimalistic setting and a quiet ambience to go along with your bingsu experience, this is the place for you! If you stay in the West of Singapore and the miserable weather is too unbearable, drop by Il-sole Korean Desserts for an icy bingsu treat to fight the heat! The name stands for ‘snowflake’ in Korean. The café’s bingsu desserts are also made from frozen milk and do not use the term ‘shaved ice’. If you are a fan of Patbingsu (red bean) and Injeolmi (rice cake), come to Nunsongyee to get a taste of your favourites. 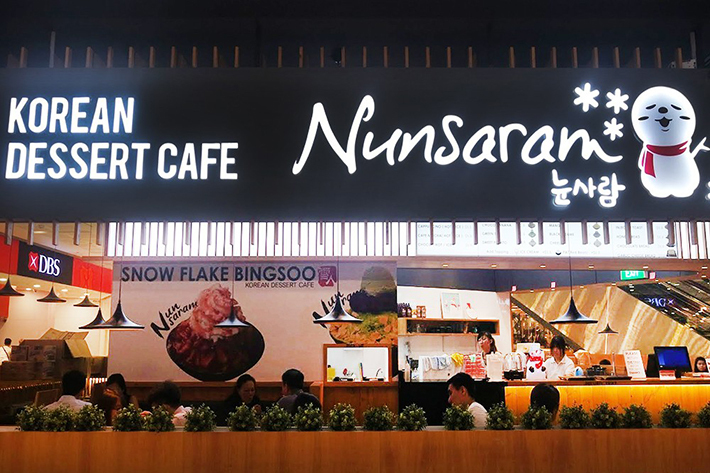 Nunsaram Korean Dessert Café offers an array of desserts but people love the place for their bingsu. Apart from its launch in the central district, there are also numerous Nunsaram branches in both the east and the west end of the country. O’Ma Spoon is arguable one of the pioneers of Bingsu in Singapore. Fall in love with the taste of snowy, milky goodness in your mouth. The café’s favourites are the Mango Cheesecake Bingsu and Matcha Bingsu.